People always wonder when Las Vegas will be home to a top flight professional sport team. The time will come before long I believe and Major League Soccer could be that first team to step foot in the Casino capital. Reports this morning from the Las Vegas Sun say MLS commissionar Don Garber has placed calls to lawmakers in Nevada and Las Vegas about a potential stadium site for a future MLS team. Major League Soccer Commissioner Don Garber last week made calls to key Nevada lawmakers about an expansion team for Las Vegas, telling them he is supportive of the concept that needs approval from the Legislature for a taxing district near Mandalay Bay to fund a proposed arena/stadium/ballpark complex. The move comes on the heels of Texas developer Chris Milam’s purchase of the minor league 51s baseball team and his stated intentions to bring major league soccer and an NBA team to Las Vegas. Said Speaker John Oceguera of Garber’s call: “He called, made no promises, but said they were interested and liked the project.” Garber also called others, including state Senate Majority Leader Steven Horsford. Obviously a team in Vegas is years away and likely won’t be the 20th MLS team. I’m sure MLS knows they need to focus on balancing out the two conferences here (unless they one day finally break away and go single table…which is probably more a sign of the apocalypse). Plus, should this all get passed in the political world, someone will have to step up and put down the money for a MLS franchise. Milam may be that guy but I’m sure the league will want to make sure he has the proper financial backing to handle a MLS team. Garber talking to the lawmakers shouldn’t come to a surprise, or at least it doesn’t for me. He typically tries to step in where he can for deal like this. 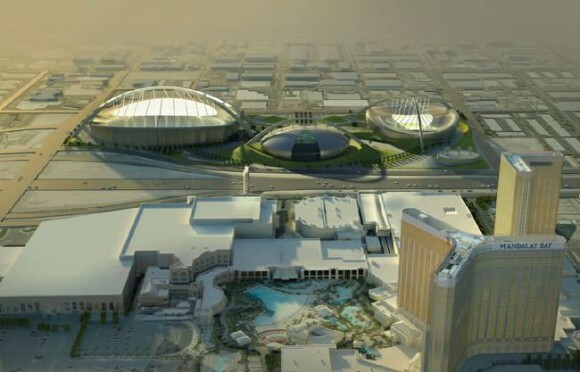 Still, looking at the renderings like the one above, the facility could be very nice. which one is the SSS, the middle one. Besides that,MLS should get 24 to 26 teams but dont touch the NASL teams or USL. Make the expansion teams from really picking new cities. By the not touching the NASL nor USL that will make them gain more fans and popularity. Saying that,relocate teams or invade Las Vegas, San diego,Baltimore,NC or SC city, Tennesee city, Detroit,Minnesota.For other cities already with NASL or USL, touch San Antonio, Orlando, Puerto Rico. It better be an enclosed, air-conditioned facility. Nevada in August is as close to hell on earth as there is. Speaking of which I think they should consider Phoenix as well if they can get a similar facility. That would give you four rocky mountain teams, three Californian teams, and three in the Pacific northwest.